>Read The Bible In A Year? There are so many people who aim to ‘read the bible in a year’. There was even a status update recently on my facebook wall where someone claimed to be on his seventeenth year of completing this task. I grew up reading and studying my bible but was never that familiar with the movement to read it from cover to cover in one year. Overseas bible weren’t that easy to come by so you didn’t see the variety of translations and study bibles you find here in the States. When we returned to the US in 2008, I was blessed to land a job at Lifeway Christian Stores. I was amazed that there was a whole section dedicated to ‘One Year’ bibles. 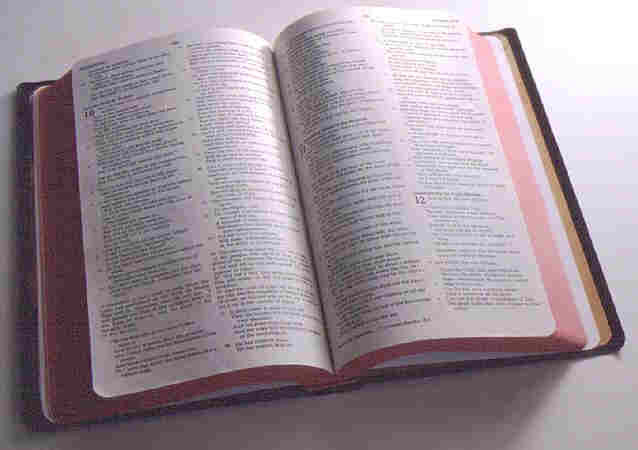 There were chronological bibles, beginning to end, historical, old then new testament and new to old bibles. Everything in America is a money making industry, even bibles. I discovered that the exact same bible can go out of print when really only the cover changes. I had never seen so many bibles. But I guess that is a subject for another blog. Back to reading the bible in a year. I’ve tried but I just don’t get it. There is too much to read. I concentrate more on getting through the correct number of pages than digging deeper into the verses or words that have so much meaning on their own. I love studying God’s word but this, for me, this is more like a chore of reading a text book than the pure joy of meditating on God’s Word. So I decided I can read twenty pages a day to get through it. Or I can read one passage, or even one verse, and meditate on it for the same length of time. It is like trying to clean your house in one day: you vacuum, do laundry, dust, clean windows, power wash the outside, mop, clean bathrooms, pick up toys, clean out the refrigerator, and organize your drawers. How well will it get done? But if my aim is to clean my house in a week, I can divide up the chores, be more thorough, have less stress, and do a much better job. I’m not judging those who choose to read the bible in a year but I’ll stick to taking my time. It works better for me. 3 Responses to >Read The Bible In A Year? >Bill Hybelss would agree with you! He says in his book, The Power of a Whisper, that one time in his personal study he stayed in Romans 12 for a whole year!I agree, as well. I was transformed this summer when I made it my goal to read the book of James everyday for a month. There was something so powerful in the repitition. >I like your perspective! One of the reasons I love bible study so much is the guided and intentional approach to read and focus on specific scripture, seeking to know what God is revealing. This truly makes it come alive for me and I find I retain it better. Thanks for sharing. >I like this..because I too am reading but I haven't put myself on a schedule. I am just reading through. I decided during preparation for Easter I will read the Gospels. Up until now I have been reading the OT…and just soaking it in. There is great joy in not sticking to a schedule but allow God to direct what He wants me to see. I think I am actually reading more than if I was on a schedule. If I get it finished in one year, great, if not I will continue next year, but I pray I learn in a new way some very familiar scriptures…so far I am!